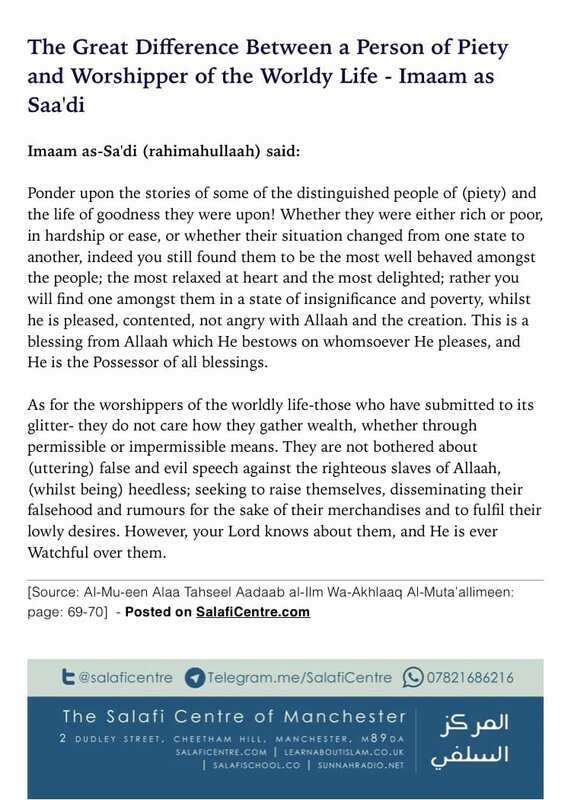 Imaam as-Sa’di (rahimahullaah) said:Ponder upon the stories of some of the distinguished people of (piety) and the life of goodness they were upon! Whether they were either rich or poor, in hardship or ease, or whether their situation changed from one state to another, indeed you still found them to be the most well behaved amongst the people; the most relaxed at heart and the most delighted; rather you will find one amongst them in a state of insignificance and poverty, whilst he is pleased, contented; not angry with Allaah and the creation. This is a blessing from Allaah which He bestows on whomsoever He pleases, and He is the Possessor of all blessings. As for the worshippers of the worldly life- those who have submitted to its glitter- they do not care how they gather wealth, whether through permissible or impermissible means. 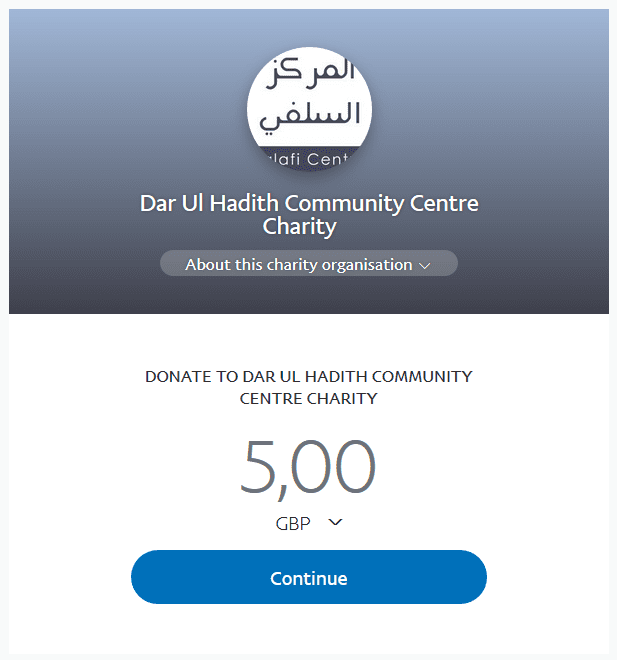 They are not bothered about (uttering) false and evil speech against the righteous slaves of Allaah, (whilst being) heedless; seeking to raise themselves, disseminating their falsehood and rumours for the sake of their merchandises and to fulfil their lowly desires. However, your Lord knows about them, and He is ever Watchful over them.